The Roger Daley Post-Doctoral Publication Award is granted for excellence of a publication in the fields of meteorology or oceanography that has appeared, or is in press, at the time of nomination . The award is a prize of $2,000. This award has been presented since 2005. It is open to candidates who, at the time of nomination, are working in Canada in a non-permanent position as a post-doctoral fellow or research associate and are within 5 years of having received their doctoral degree. 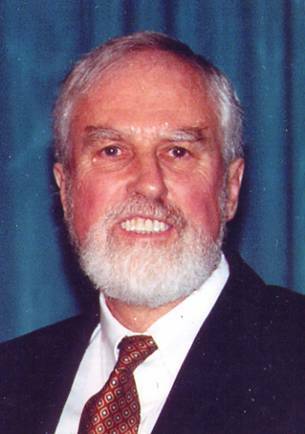 Roger Willis Daley, UCAR Distinguished Scientific Visitor at the Naval Research Lab in Monterey, died at his home in Carmel Valley, California, August 29, 2001. After two years as a professional weather forecaster in Goose Bay, Labrador and Montreal, Quebec, he began PhD studies at McGill, graduating in 1971. After two years of post-doctoral studies at the Institute for Theoretical Meteorology in Copenhagen he returned to Canada to a research scientist position with the Meteorological Service of Canada (MSC) in Montréal. He was the team leader for the world's first operational spectral forecast model, which was implemented in 1976. The spectral approach is now used in most operational global NWP centres and forms the dynamical basis for most climate models presently in use. He also was a co-developer of the variable resolution finite element model that was used for regional forecasting applications in Canada for many years. He was an integral part of the development of the research agenda for the Canadian Climate Program that was ultimately a major initiative of Canada's Green Plan. This program supported the development of a vigorous climate research capability in Canada that thrives to this day. By the time he left the MSC he was firmly established as a world leader in data assimilation. He was Editor for the CMOS journal Atmosphere-Ocean from 1989-1992. Daley received many honours during his career. From the Canadian Meteorological and Oceanographic Society (CMOS) he received the Prize in Applied Meteorology in 1975 and the President's Prize in 1982. He was elected a Fellow of the Royal Society of Canada in 1993 and a Fellow of the American Meteorological Society (AMS) in 1997. In January 2001, he was awarded the prestigious Jules Charney Medal of the AMS for a lifetime of outstanding scientific achievement.